Are you itching to travel outside the country? 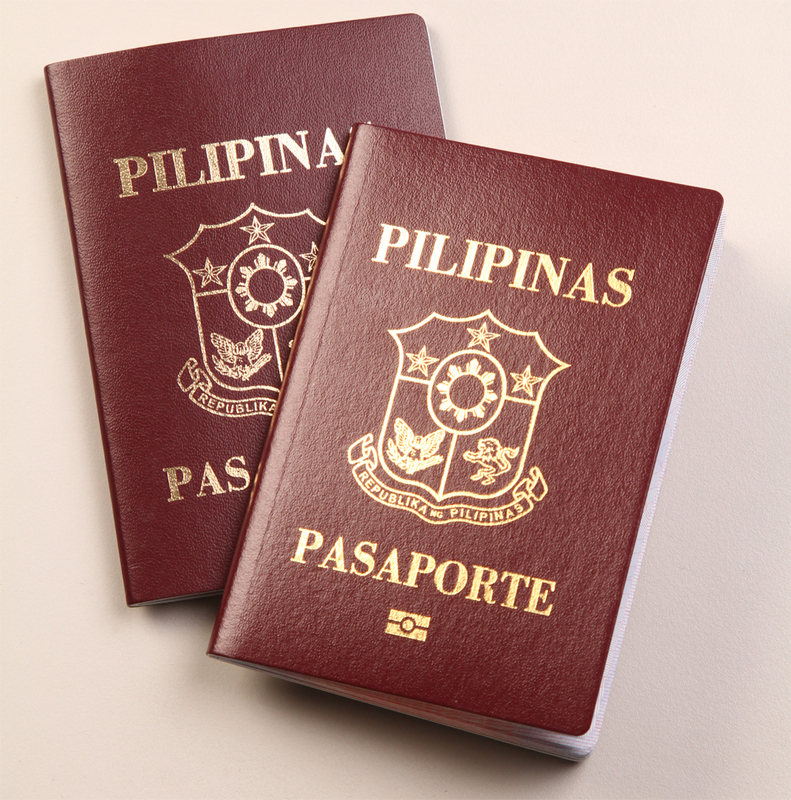 If you don't have a passport, don't plan your trip just yet! When I renewed my passport a few years ago, it was quite easy. I just paid a travel agency and I got an appointment in a week. Then I paid for the expedited service and I got my passport within 7 working days after my DFA appointment. Out of curiosity, I checked out DFA appointment schedules and I was shocked to find out that all the DFA satellite offices near me are booked up till second week of September! So if you need to travel in the next month or so and you still haven't gotten an appointment, well..good luck! 2. 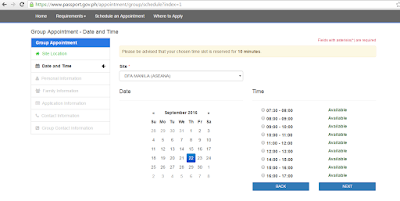 If you are booking an appointment for yourself, click start an individual appointment. 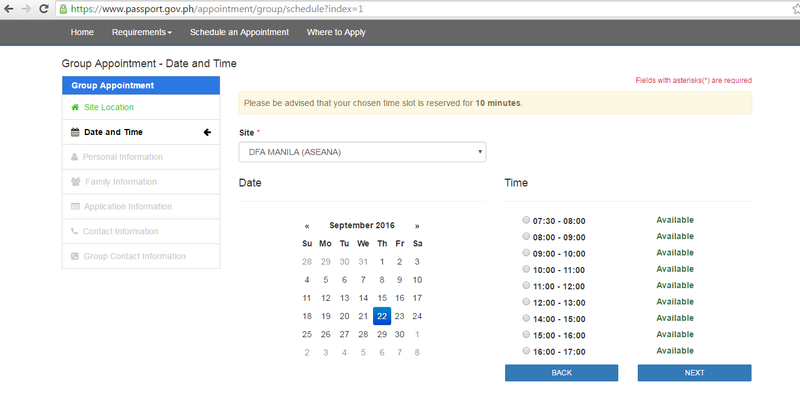 If you are booking an appointment for you and others, click start a group appointment. 3. Specify the site where you want to set an appointment then click next. 4. Select an available date. July and August is booked up on all Metro Manila satellite offices. I just checked the DFA Manila (Aseana) and the only available date in September is from Sept. 22 onwards. 5. Select a timeslot. Please be advised that your chosen time slot is reserved for 10 minutes. So don't screw it up! Get there at least 30 minutes early. 6. Type in all your information. Make sure everything is correct before you click next. 7. After that you will get an email from DFA and you will have to click on the link provided to confirm your appointment. 8. Print the application form and don't forget to bring it with you on the date of your appointment. NOTE: If you do not confirm within a few hours, your provisional appointment will be automatically cancelled to give way to other applications. My husband and I already have a scheduled group appointment. But we would like to add our youngest daughter. Is it possible to add her to the group appointment? If yes , how? Hi I just want to ask if we need to fill up the email address and phone number for each individual in a group appointment? Thanks! hi! i just want to ask what is the differences bet. individual and group appoinment? hi what do i need to do if the time slots are all full but i need my passport until april, what should i do?